Made Up Standards stories at Techdirt. stories filed under: "made up standards"
We've repeatedly noted how while fifth-generation (5G) wireless should someday deliver faster, more efficient wireless networks, the technology itself has been embarrassingly over-hyped, largely thanks to network vendor and cellular carrier marketing departments. It's going to take years before users actually see a healthy selection of actual 5G devices in the wild (Apple's 5G iPhone won't launch until 2020 or later). And despite carrier promises, deploying these upgrades to traditionally ignored rural and less affluent urban markets will take years. 5G also won't magically fix the vast dysfunction in the telecom sector. 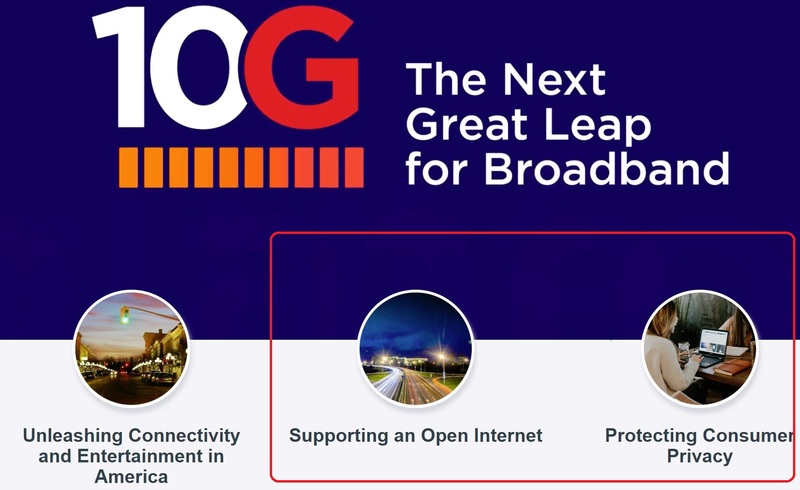 "With groundbreaking, scalable capacity and speeds, the 10G platform is the wired network of the future that will power the digital experiences and imaginations of consumers for years to come,” said NCTA President and CEO Michael Powell. “As an industry, we are dedicated to delivering an exceptional national infrastructure that will power digital advancement and propel our innovation economy into the future." In reality, this is not new technology. Cable's simply referring to the ongoing updates to the DOCSIS 3.1 standard the cable industry has used for years. One update in particular, full duplex tech, was unveiled by CableLabs a few years back, and should eventually allow the cable sector to deploy speeds upwards of 10 Gbps to consumer homes (and more importantly, provide faster upstream speeds). But again, this tech isn't new, isn't really "10G," and most consumers are still waiting for 1 Gbps downstream speeds the industry promised years ago. And while the cable sector is planning trials for this faster cable technology in 2020, there's no truly solid timeline on deployment, and even then, consumer speeds may never actually reach 10 Gbps at any real scale. The current DOCSIS 3.1 standard is already theoretically capable of 10 Gbps downstream, but most users see at best 1 Gbps down, 35 Mbps up in areas its deployed, making it notably less exciting than full, symmetrical fiber broadband. And that's of course before you mention the high prices and unnecessary usage caps that tend to undermine cable sector speed advancements. It appears the cable industry saw all the hype wireless carriers were generating with 5G, and simply decided to try and piggyback on the hype parade by calling its existing, long-standing, and arguably boring cable technology something else. It then tried to claim this nonexistent standard would magically protect net neutrality and privacy. And while some telecom trade mags were quick to parrot the hype, the announcement was otherwise met with justified yawns and skepticism directed at an industry that just can't seem to understand why the majority of Americans don't really like them.